Give You Clean That Makes a Difference – Nothing Matches the Eco Cleaning Services! Here at Eco Cleaning Services Inc., we are laser focused on a single mission: To offer cleaning and restoration services of the highest quality that conforms to the highest levels of satisfaction for our customers. Be it flood damage cleaning, or any other eventuality, we’re committed to quality. And to do that, we’ll stop at nothing! By the time we’re done, we’ll meet and most likely exceed every expectation that you had of us – guaranteed! No one understands better than us the random nature of unplanned and unexpected disasters that plague your property. And when that happens, your best ally is to respond with fast, effective, reliable and efficient emergency response services. Here at Eco Cleaning Services Inc., our Restoration Service Expert Teams are always prepared to respond within 60 minutes of your call – night or day. More like a trusted partner than an outside consultant, our disaster cleanup service crew will stand with you throughout your ordeal, lending our support all the way until your operations are fully restored and back on track. Because that’s the Eco Cleaning Services Inc., way! Moments after a disaster, just a single call to the emergency hotline at our disaster assistance centre can start the ball rolling. Whether it’s flood damage cleaning, or cleanup from any other disaster, we’ll immediately mobilize an experienced team of experts to carry out an assessment and quickly start emergency boarding up, weatherization, cleaning and, where necessary, begin an efficient salvage operation. Our emergency response services teams have a successful track record of assisting many businesses respond to devastation left by fire, flood and other calamities. Once we get involved in delivering disaster cleanup service at a site, our clients can heave a sigh of relief and. Our emergency response services teams help reduce anxiety and dispel stress levels – all while we work tirelessly to bring your operations back to normal. 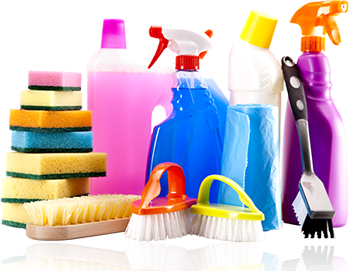 The Eco Cleaning Services Inc., emergency response services team is always prepared to promptly respond to emergencies of any type, whether man-made or natural, across the Greater Topronto Area (GTA) and beyond. At the heart of our prompt and effective disaster cleanup service is our -Hour Priority Response guarantee. Upon receiving a call for emergency response services, our Emergency Response Center (ERC) quickly routes it to our team of First Responders (FRs), who will reach out to you and may be called to be on site by you within one hour of your initial call to the ERC. Disaster recovery and restoration and flood damage cleaning is an extremely specialized area of business, which requires training, skill and experience. And that’s exactly what our FR’s bring with them when they arrive on scene. Eco Cleaning Services, Inc. invests heavily in emergency response services training, technology and equipment, so we are always at the cutting edge of restoration science, be it storm damage, fire, flood damage cleaning, accidental damage or natural disasters – we are always ready. And when it comes to finally getting your operations up and running, you need a partner that’s experienced in every facet of the restoration and disaster cleanup service. At Eco Cleaning Services, Inc. there’s nothing that we haven’t seen or dealt with before. We’ll be right by your side, through every stage of your restoration, bringing our experience and expertise to shine on everything we do – and that’s our commitment! Our disaster cleanup service team recognizes that, when dealing with any disaster, time is the biggest enemy! No one understands that better than the dedicated crew at Eco Cleaning Services, Inc’s. emergency response services crew. That’s why we remain on standby 24/7, seven days a week – just in case disaster strikes and you need a helping hand to help you put your business back together again quickly and efficiently!